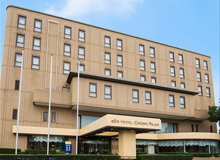 HOTEL CROWN PALAIS KOFU located in the heart of Kofu City known as Kai Province. meeting, banquet, dining, your special occasion and other high-profile events. Our experienced staffs welcome visitors with best service suiting your needs. Online reservations can only be made by individual guests. HOTEL CROWN PALAIS KOFU is located in the heart of Kofu City known as Kai Province. Our hotel is the perfect venue for business, sightseeing, accommodation,meeting, banquet, dining, your special occasion and other high-profile events. We do the best service suiting our guests' needs. © 2019 Hotel Crown Palais Kofu All rights reserved.